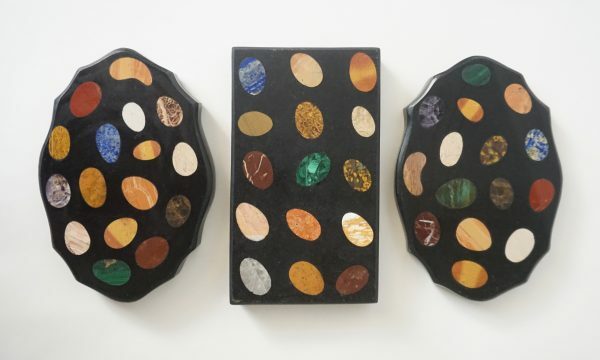 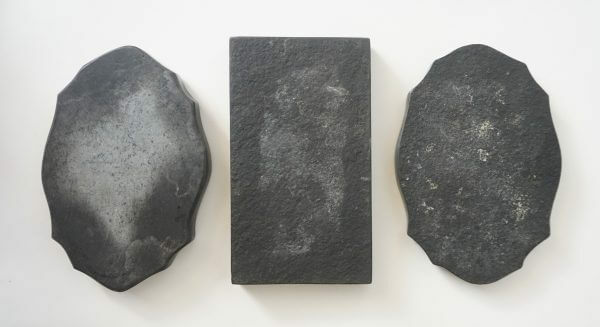 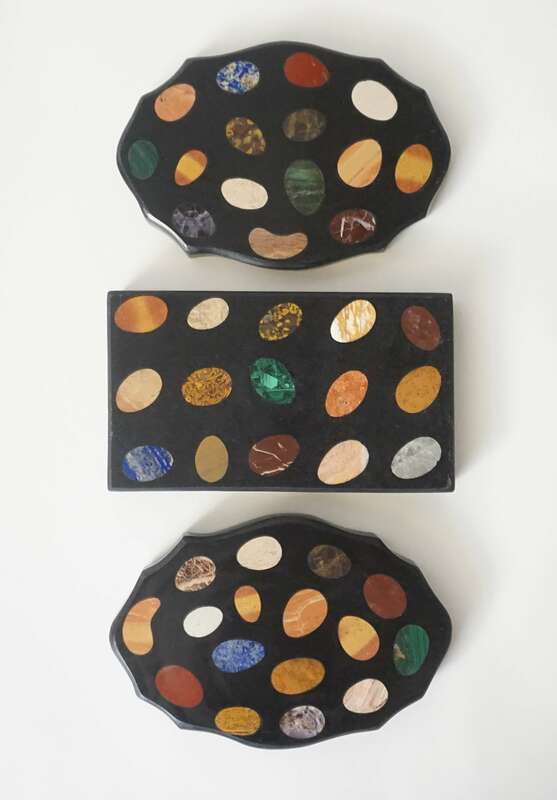 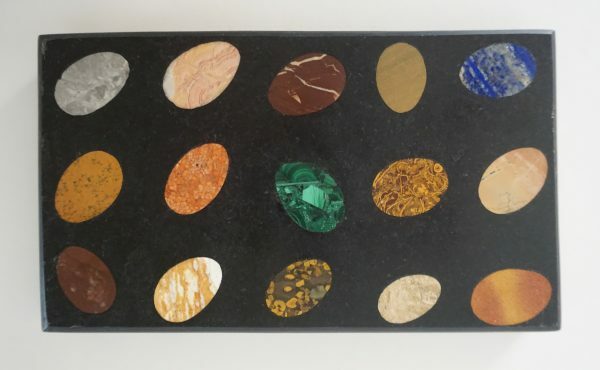 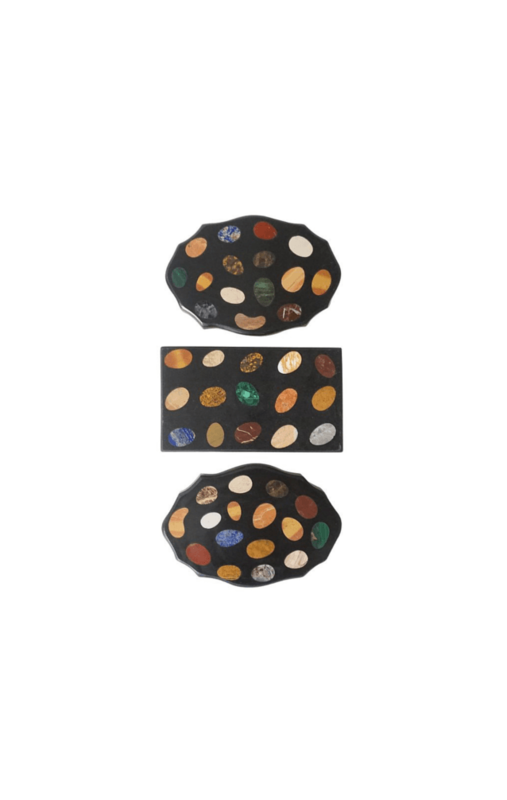 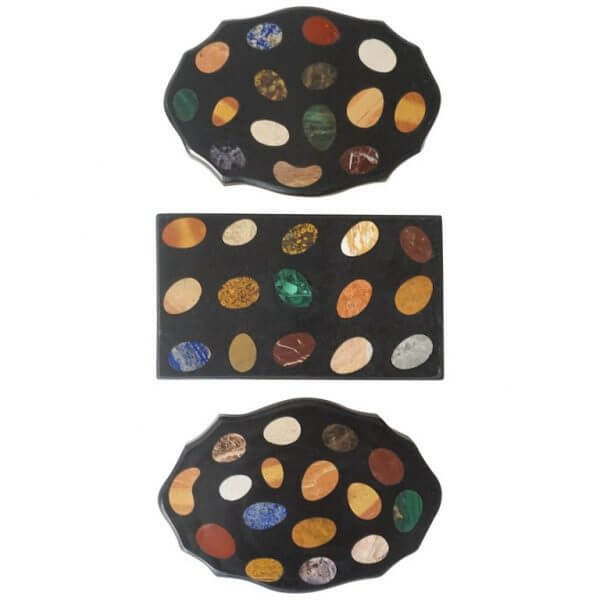 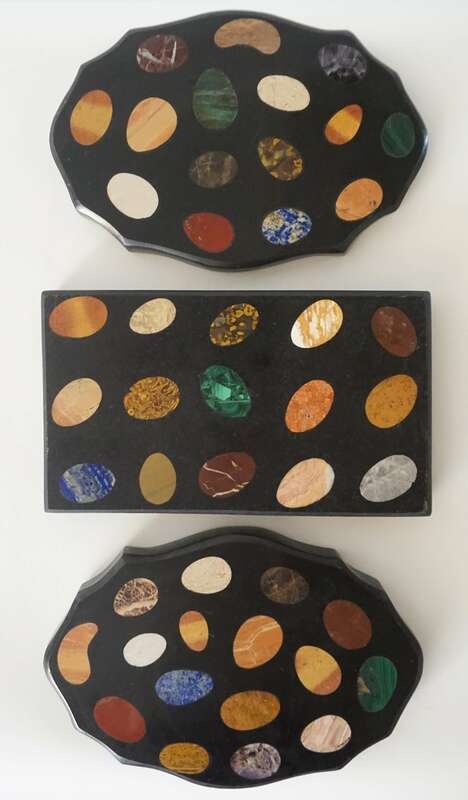 A collection of three exceptional "Grand Tour" mid-19th century pietra dura mixed marble paperweights of plaque form, one rectangular, and two cartouche-shaped, composed of English Ashford Derbyshire black marble slabs inset with native English stones and minerals including Blue John (Derbyshire Spar), Duke's Red, bird's-eye, and various other indigenous and fossiliferous stones, in addition to imported stones of lapis lazuli, malachite, and jasper in "egg" shape inlays. 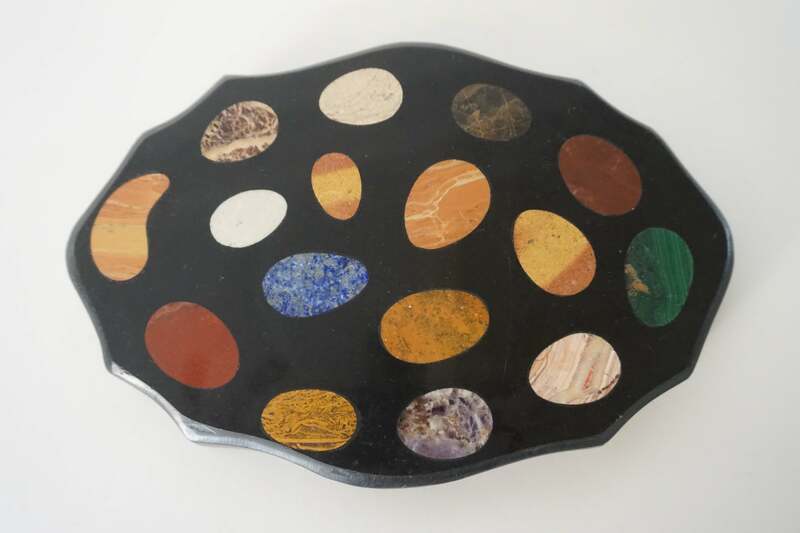 Measurements are as follows: Rectangular plaque: 8" by 4.63" by .88" Cartouche plaque 1: 8" by 5.5" by .75" Cartouche plaque 2: 7.88" by 5.44" by .63". 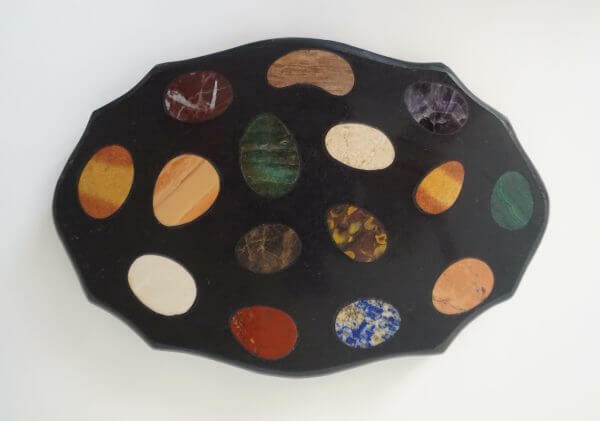 Cartouche plaque 2: 7.88″ by 5.44″ by .63″.